The use of antimicrobials is often confusing and misunderstood by most people. It is often thought of as a “magic bullet” solution that exists and can be easily applied to destroy all of the harmful microorganisms that develop as a result of water damage and mold growth. However, here at PuroClean Certified Restoration we realize that there is an apparent misconception between what most people want and what the reality of the treatment is. Some people will contact us and ask a question regarding “How to get rid of mold” and we always answer with our mold removal services. This is because we have the employees that are trained to tackle any of the mold or microorganisms that are found in a house. Antimicrobials are substances utilized for the destruction or growth suppression of harmful microorganisms whether they are bacteria, viruses, or fungi. These antimicrobials are registered and regulated by the United States Environmental Protection Agency under the Federal Insecticide, Fungicide and Rodenticide Act (FIFRA). Some states actually require the users of these products to be licensed pesticide applicators. A professional restoration company will comply with all of the necessary training, safety, and licensing requirements as a result of FIFRA. Our professional restoration specialists understand that a number of limitations exist in the use of antimicrobials. 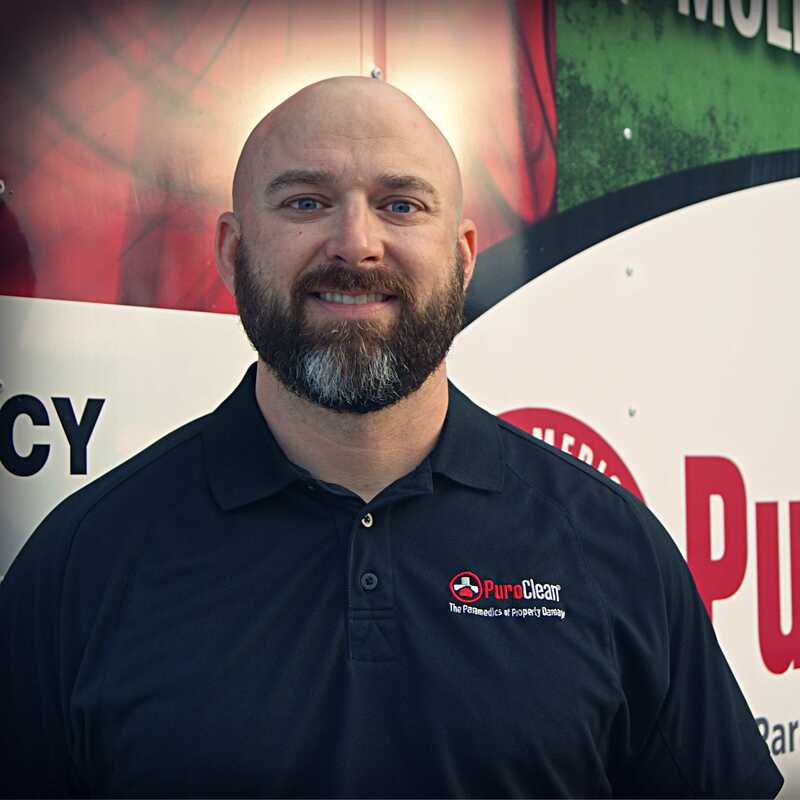 PuroClean Certified Restoration always trains and supervises our employees when handling these products. Label instructions are always followed as written at PuroClean Certified Restoration. This applies to methods of application and what it can be applied to. Dwell times must be allowed for. Application details should be properly documented. 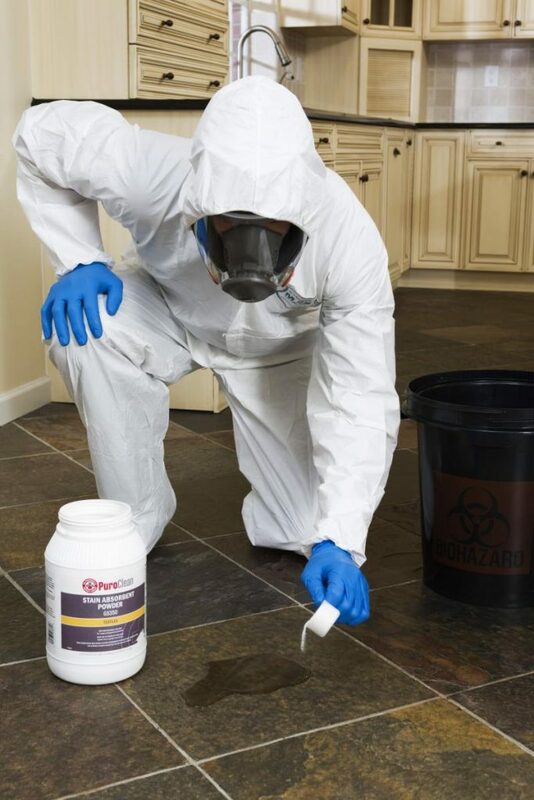 Safety is always a top priority of PuroClean Certified Restoration. Safety for our employee, safety for the occupants of the structure, and safety for anyone entering the structure must be considered. There are some potential risks when utilizing antimicrobials. These products are classified as a biocide, which references a “life killer”. Our professional restorers consider if the occupants are very young, elderly, unhealthy or sick in general. The potential hazards and benefits must be discussed with the customer, and a written, informed consent should be obtained prior to the product’s application. It may be necessary to ask the occupants of the structure to vacate the premises during the application of antimicrobials. Our professional restoration technicians are able to appropriately assess the circumstances and be able to make sure that all individuals are protected. The effectiveness of antimicrobials will vary by product. Label claims will include activity against groups such bactericide, fungicide, virucide, tuberculocide, and sporicide. Some products may have special use claims against specific microbes, such as Legionella pneumophila, Mycobacterium tuberculosis, Aspergillus fumigatus, Hepatitis or HIV. PuroClean Certified Restoration refrains from making statements or representations to a customer beyond what is on the label of the product for their safety. PuroClean Certified Restoration has Material Safety Data Sheets available, which can be made available to the homeowner. However, if you have health concerns, PuroClean Certified Restoration will direct the you to discuss the use of these products with your doctor. The use of antimicrobials is not recommended in the restoration of indoor water-damaged or microbial-contaminated environments, unless the source has been determined to be contaminated. Effective remediation of water-damaged buildings should employ the use of appropriate rapid drying techniques and/or complete removal of contaminated materials through detailed cleaning or demolition and appropriate disposal of materials. Because of this, the application of an antimicrobial will actually serve no purpose that could not be accomplished with a detergent solution. Our professional restoration specialists will know when to apply and when it is not necessary to apply these products. When the source of the water damage is determined to be “black water,” a significant health risk may be present from a variety of infectious agents. The use of antimicrobials in this situation will be utilized to help reduce and control microorganisms from the environment to assist in achieving safe levels as determined by public health standards. PuroClean Certified Restoration professionals have had the necessary training to know when to use antimicrobial products. We will know that the use of antimicrobials is not always automatic, but an appropriate evaluation of the benefits or hazards should always be conducted.